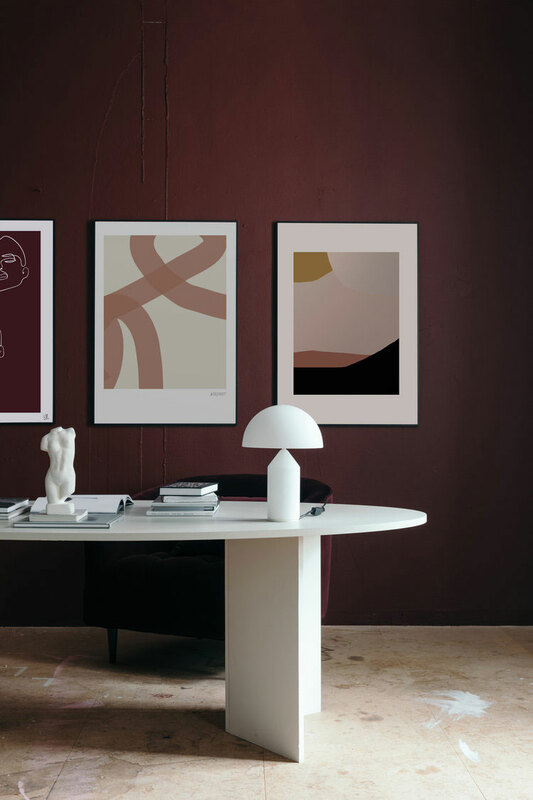 An exhibition organized by online retailer Wall of Art recently took place in Stockholm. 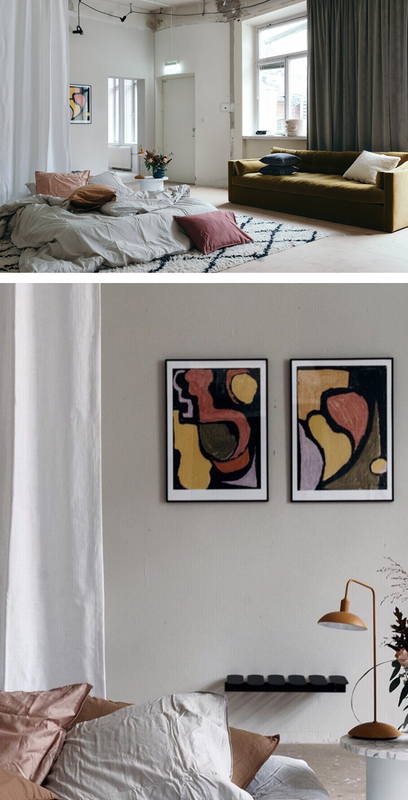 Stylist Lovisa Häger was enlisted to transform an empty industrial space of 200 square meters into a “home” defined by different colors: Red, yellow, green and blue. Each concept and styling is based on a personality type as defined by the DISC Profiles (color psychology is apparently a big thing in Sweden right now). Interesting, right? Below I am sharing the different concepts with a rough translation of the Swedish news release. The interior you’ll see is filled with carefully picked furniture and home accessories from Meli Meli Home, Gotain, Midnight, Alcro, Maze Interior, Lightwork and Isadeco, among others. There are also some designs by Häger herself; pedestals, dining table, desk and coffee table, which she will launch soon. The beautiful art prints are part of a very limited edition series created for the occasion, and of which 10% of profits will be donated to the RFSL, the Swedish Federation for Lesbian, Gay, Bisexual, Transgender and Queer Rights. I am in love with that shade of blue below – So gorgeous! Blue: An organized and precise individual who highly appreciates symmetry and planning. Takes things slow, think things through before taking action. Thrives in a curated environment. Red: Performance-oriented, productive and efficient. Follows the mantra “Done is better than perfect.”. Green: Warmth, collaboration, homey feel. The living room is the meeting place, where people gather, share, connect. Yellow: Somebody that has a lot on his/her mind, with a thousand things to do, and who is likely to have beautiful prints ready to be hung (and sometimes even unframed) laying around for a while. A colorful personality, which is reflected in the interior, where the red thread is more inspirational than a fully thought-out plan. Tell me, which one are you?